I haven’t been reading much lately, between my mom’s health issues and my garden chores, I’ve been busy (and a little tired and stressed out too). Last night I grabbed my camera and ventured out into my backyard. It felt good to do something creative, to slow down, breathe, and appreciate nature’s gifts. My gardener friends say I’m supposed to cut the chives back now, but how can I, they’re so pretty when they bloom! 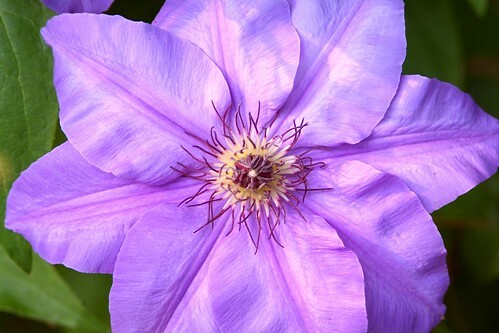 One of my Clematis blooms, I’ve planted them everywhere, some are happy, others would like more attention than I’ve been willing and able to provide (kinda like kids). 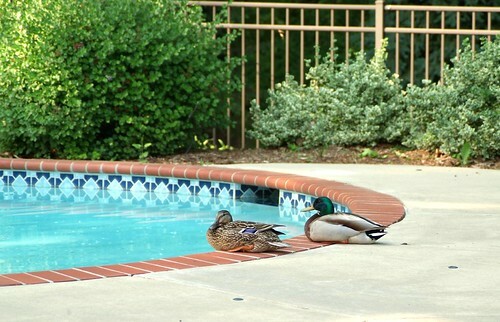 Our uptown ducks, we usually try to run them off, but this year we gave up. They eat the bugs off the surface of the water so we figure they are doing their part to clean the pool (if only they didn’t quickly digest those bugs and poop them right back out we’d be golden). This entry was posted in my life, photos and tagged gardening, my life, photos by Lilli Day aka bookbabie. Bookmark the permalink. 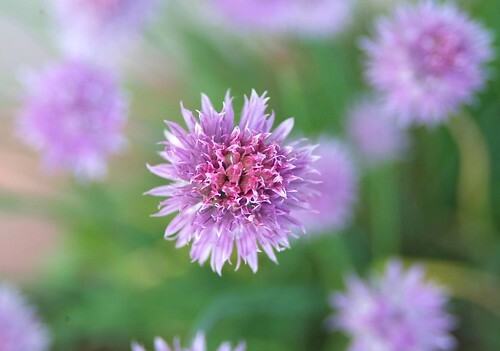 I can’t bear to cut the chives, either–my stepmom used to plant them just for the purple blooms. Lovely pictures–fabulous blog! Ohhh… some beautiful images you catch and I must say that your backyard is fantastic, too.